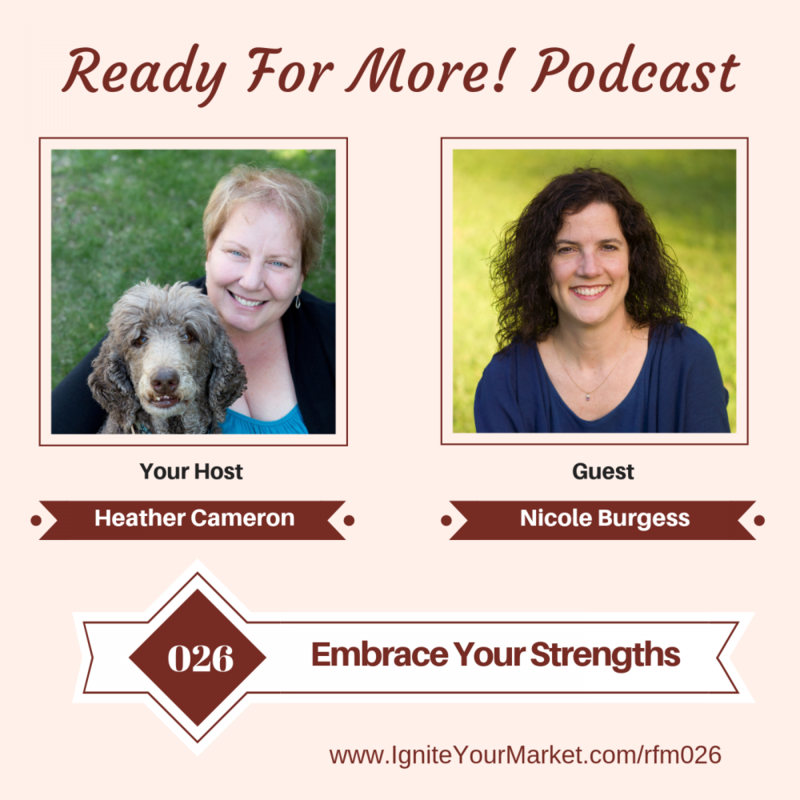 In this episode Nicole Burgess and Heather chat about Nicole’s journey as an entrepreneur as a Highly Sensitive Person (HSP). Nicole share her passion of helping women put down the masks of good girl or people pleaser, and embrace their strengths. Nicole Burgess is a licensed psychotherapist and introvert empowerment mentor to high achieving and highly sensitive professional women. She helps them end the overwhelmed and stressed out cycle so that they can be more connected in relationships, thrive in life and create harmony both professionally and personally. Nicole is an INFJ and HSP herself and began her career as an Accountant then Business Analyst before heeding her calling as a psychotherapist and now empowerment coach. Nicole is on a mission to support and help all the visionaries, creatives, non-conformist and truth sayers put down the masks of good girl or people pleaser, and embrace their strengths as highly sensitive without burning out in the hustle for self-worth.